LG just raised the bar for garment care with the launch of its new LG TWIN Wash™ and SideKick™ washer drawer pedestal. Wait for it ladies...it&apos;s the first at-home washing machine that allows you to run two separate loads of laundry at the same time. Who wouldn&apos;t want more clean clothes in less time?! While the SideKick™ is compact, it can hold another 3 to 4 pounds of laundry, with six distinct wash cycles depending on your needs and wants. I lov eit for special-care loads like delicates and workout gear. Due to time constraints (laziness), I tend to throw my delicates and fitness wear in with everything else, which I know isn&apos;t the best way to maintain them and it shows. My favorite thing about the SideKick is that operates independently from the front load washer. It can run on its own or simultaneously with the front load so you can wash one load cold and one load hot! 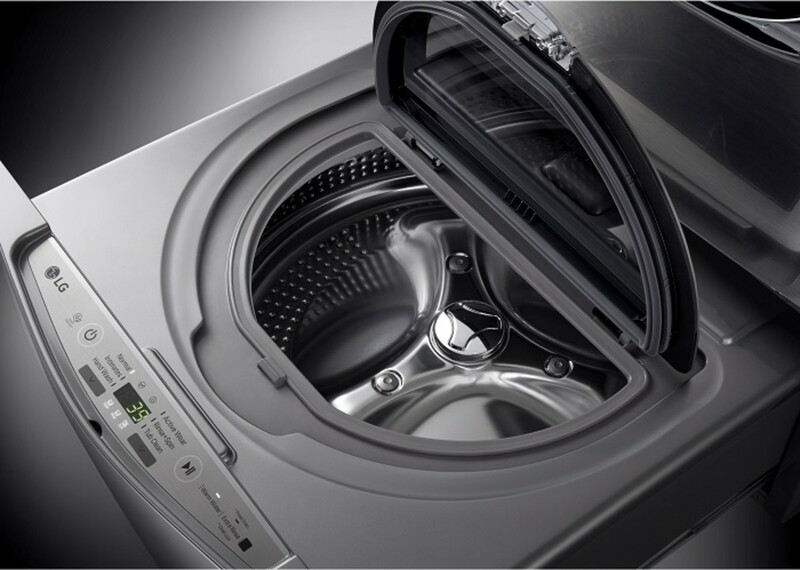 The SideKick washer is only compatible with LG front load washers but if you already have a 2009 LG or later model, you can likely add a SideKick™ pedestal to your setup. To celebrate the launch of the LG TWIN Wash™ last week, I attended a "Divide & Conquer" theatrical Broadway event in Times Square. Performances were choreographed by top Broadway choreographer Joshua Bergasse throughout the day with larger-than-life puppets, professional dancers and acrobats. It was a gorgeous day in Manhattan and the event gave consumers a chance to see how the new LG TWIN Wash™ works. We also had the opportunity to see the machines up close and poke around. 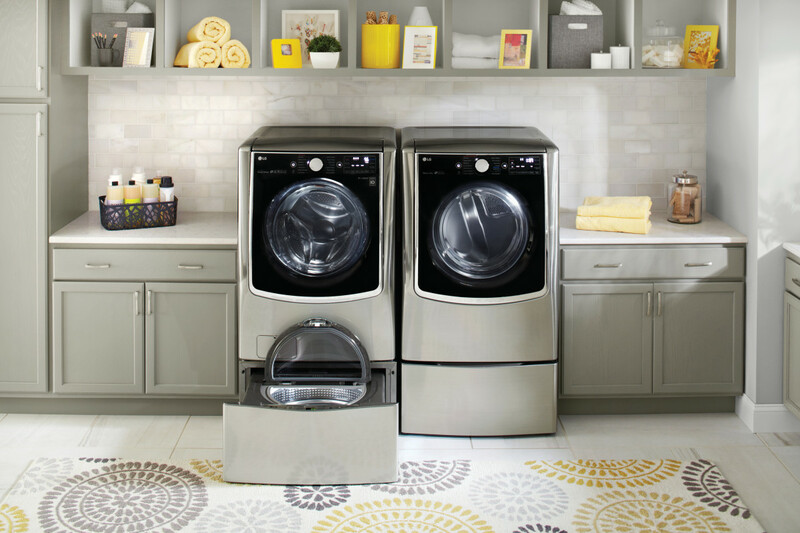 They&apos;re so sleek and modern and would be a glamorous addition to any laundry room! I&apos;m so excited about this product. When companies strive to make family life easier, I&apos;m all ears. We&apos;re currently in the market for a new washer/dryer and you&apos;d better believe new LG tops my list! What do you think? Would being able to run two loads of laundry simultaneously make a difference in your household? Consideration provided by LG. All opinions expressed herein are my own.